Today I will be talking about how we can work online and get the result that we want as a service provider. Working online also known as Crowdsourcing or Outsourcing is very popular both in developing and developed countries. Now a days, you will see many freelancers and even the companies use the Crowdsourcing platform to get the projects and become successful. There are lot of opportunities as day by day the top companies are using Crowdsourcing to get their job done in low price but with the good quality. The another advantage of Crowdsourcing is that you can tap the resources from all around the World. I have been working as online Crowdsourcing service provider from last 5 Years. I would like to provide few basic advice to build great relationship with your clients and become successful Crowdsourcing provider. Don’t Make Fake Promises: This is the most important point to remember to build the trust and relationship with your client. You should tell your clients about your strength and weaknesses. Don’t take the project which doesn’t fit in your skills set. You are not a superman who knows everything and can do any task. We all are normal human being who has set of expertise skills. So, just work on that. Communication and Time Management: Ensure good communication and Time Management which quick responses, fixed delivery dates and effective task management is very important. Online Availability: You need to be online using various tools such as Skype, AIM, Google Talk, Yahoo and others as required to let your client know that you are available if there is any urgent issues. This bridge the gap of distance and trust as in corwdsourcing the client is always far from our physical reach. Build Relationship: Working online, Communication, Time Management, Task Management are very important to make the work smooth in crowdsourcing. 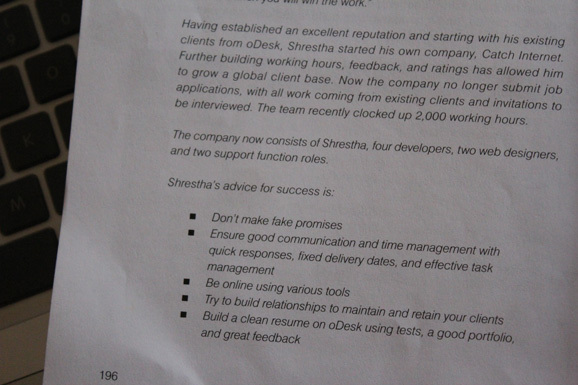 But it is very necessary to build good relationship with your clients to maintain long terms and ongoing relationship. This means that you need to be friendly and also talk about various personal and business matters. Which will bridge the gap from being unknown person to become the trustable and friendly person. Build a Clean Resume and Showcase the Portfolio: You need to build a clean resume and showcase the portfolio. To add up you can use the testimonials and feedback from your previous clients. 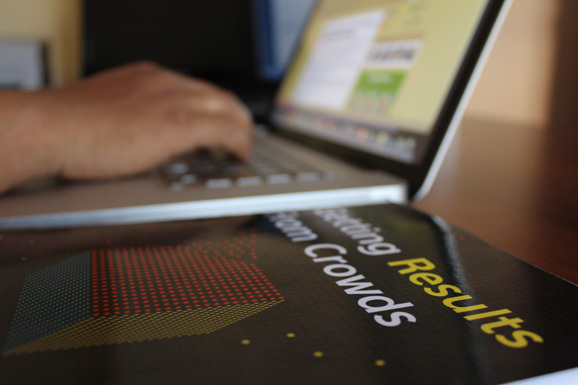 Further Reading: Getting Results From Crowds: This book provides provides practical, pragmatic, clear guidance on how you can draw on the power of crowds to grow your business. Filled with real-life case studies and useful examples, it gives you everything you need to know to create success in a world where talent can be anywhere. Thanks for taking time to read this article and I hope you all will be benefited from this. You can also read my Case Study in this Book. Just take a note about my advices but make your own good strategy of winning. All the best and Happy Crowdsourcing. This entry was posted in Entrepreneurship, General Management, Human Resources, Management and tagged Crowdsourcing, featured, General Management, Human Resources, oDesk, Tools by sakinshrestha. Bookmark the permalink.